Each Saturday from 11 am to 4 pm, the Holiday Gallery Shop hosts artists in person with trunk shows, demonstrations of their technique, hands-on “try it” opportunities, prize drawings, and more! 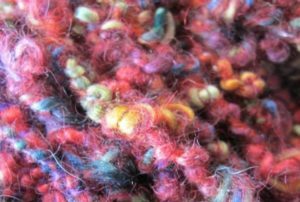 Felt Fest: Wet Felting • Buy beautiful wearables and home décor that result from agitating wool fibers with warm soapy water. Meet felting fiber artists Robbin Firth and Carol Holmblad. Save 20% on selected wool roving so that you can do it yourself! Yarn Fest • A celebration of all things yarn, from spinning it to weaving with it. See fiber artist Lisa Murray spin amazing art yarn, and watch SAORI weaving by fiber artist Lauren Oland. Save 20% on selected wool roving. 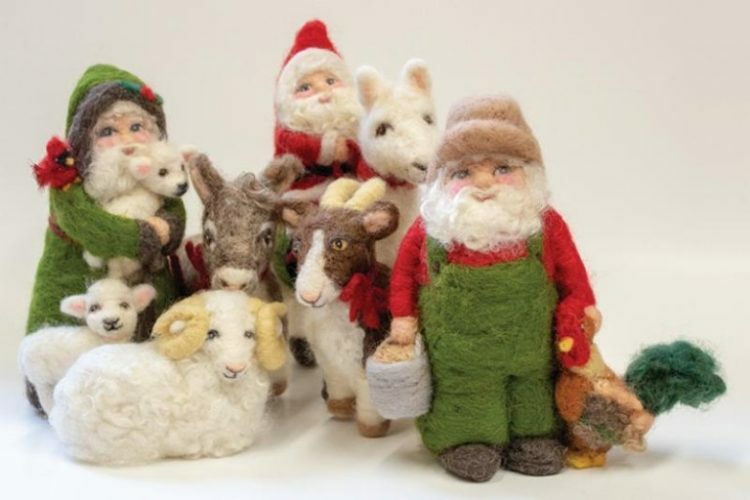 Felt Fest: Needle Felting • Adorn you walls and home with art created by felting wool fibers with special felting needle tools, and give it a try yourself, using cookie cutters as frames. 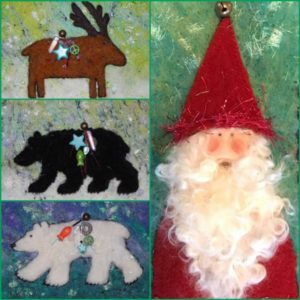 Shop a special trunk show of felted wall art from Linda and Bill Sumner of Bearpaw Paperworks (continues Sunday, 12-3, also!) Be mesmerized by Karen Engelbretson of KJE Felties as she creates her birds of nature. Save 20% on felting needs! Take part in our Prospect Park community felting art piece, lead by Sarah Nassif. Black/Plaid Friday Weave Fest • Save 20% on all portable looms! (“Test drive” them before you buy.) Watch Carol Johnson of Studio Tupla weave towels and more on a rigid heddle loom and shop a trunk show of her work. Meet Bobbin House Studio’s Tom Skogstrom as he presents a colorful selection of rag runners and rugs. Shop a trunk show of handwoven jackets and scarves by artist Katharine Pincus, presented by Elinor Auge. 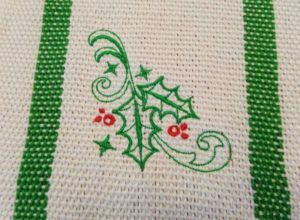 Small Business Saturday Stitch Fest • Sashiko, Boro, embroidery, and more – see stitching in action by Wendie Zekowski and Michelle Greenhouse. Ride the Green Line for free on Small Business Saturday! Members Fest • Special 20% discount for Textile Center members! Watch Faye Matson demonstrate machine embroidery. Mary Anne Wise, co-founder of Cultural Cloth, will be on hand to sign her new book, Rug Money. Fiber & Dye Fest • Watch a spinning demo with Angora rabbit fibers by Alejandra Sanchez, A Woolen Forest, and meet Max her Angora rabbit. Meet local fiber producers and organizers from Three Rivers Fibershed and purchase local fiber products: Stacy Dresow, Dresow Family Farm; Peggy Pearson, Sunrise River Alpacas; Maddy Bartsch, Three Rivers Fibershed director; and Rach-Al-Paca Fiber Processing. Save 20% on natural dye supplies and books, and wool wash in two sizes! Take part in our Prospect Park community needle felting art piece! Textile Machine Fest • See a knitting machine in action by Carole Wurst of Rocking Horse Farm. Nancy Mambi and Mary Holland will put the Cricut cutter machine to work. Save 20% on 2019 calendars! 11 am – 2 pm: Join in a community needle felting session for the Building a Neighborhood Together project.